Synopsis: Public Safety and Swarthmore Police responded to the Septa Train Station for the report from a staff member about a theft from her vehicle which is parked in the arrivals lot. At this time, it appears nothing was taken. The matter is under investigation. Synopsis: On 2/11/14 Public Safety received an online Clery report of a sexual assault that occurred on campus 2/6/14-2/9/14 by a known male resident student. Matter is under investigation. Synopsis: Public Safety responded to a report of individuals shouting within Willets Residence Hall. The individuals were identified as students and they had left the area. Synopsis: Public Safety responded to Clothier Snack Bar for the report of an injured staff member. The staff member declined medical treatment. A Workplace Injury Report was completed and this information will be on file for future reference. Synopsis: A resident student reported a missing necklace from the Lamb Miller Field House. At the time of this report the matter is under investigation. Synopsis: Public Safety, and Nether Providence Police Department, responded to a report received from 911 dispatcher regarding the sound of gun fire in the area of the Nursery. The officers checked the Nursery and surrounding area with negative results. All officers cleared the scene without incident. 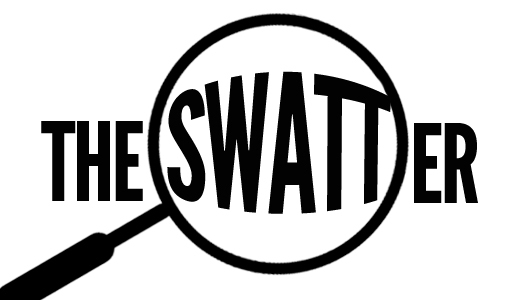 Synopsis: A Swarthmore resident student reported to Public Safety that she lost her purse. The purse was found within Sharples Dining Hall but it was determined that the wallet in the purse had been taken. The value is $80. The matter is under investigation. Synopsis: Public Safety responded to the report of loud banging from within Wharton Residence Hall. The area was checked with negative results. Synopsis: Public Safety, Swarthmore Police Department and Keyes Towing responded to a bus that was stuck in the snow at the South Entrance of campus. The bus was eventually dislodged. Synopsis: While on patrol, Public Safety observed four gas grill propane tanks inside of LPAC. They were placed outside in the secure caged area on the loading dock. Synopsis: Public Safety responded to the report of a Dining Services vehicle striking another vehicle while slipping on ice.